Grab yourself a cup of tea. Maybe a nice biscuit. Something suitable for dunking, like a rich tea, or a ginger nut. Definitely not a chocolate Hobnob. They just go all melty, and shed little bits into your tea. Frankly, the biscuit choice is the most ridiculous thing about this stunt. Anyway, now you’ve got your carefully selected biscuit, and your nice cup of tea (except if you live in London, in which case you probably ought to stick to coffee, because unless you’re using water shipped down (no rabbits involved) from Yorkshire, your tea is going to have those weird flaky rainbow scummy bits on the top), it’s time to settle down. Clear a space in your schedule – we recommend blocking your calendar out with ‘Dr’, ‘Solicitor calling’, or ‘Phone consultation – blood test results’: something that will ensure you’re not interrupted. Don’t be hiding in the loo, because tea and toilets just don’t go together, and dunking on the toilet is really really wrong. You need a comfy chair, a quiet corner, somewhere safe to rest your mug between sips and dunks. Ready? Good. Let us go forth, let us immerse ourselves, like a bite sized mini cookie in an oversized mug of tea, in the heart and cockle warming delight that is Fresh Goods Friday! 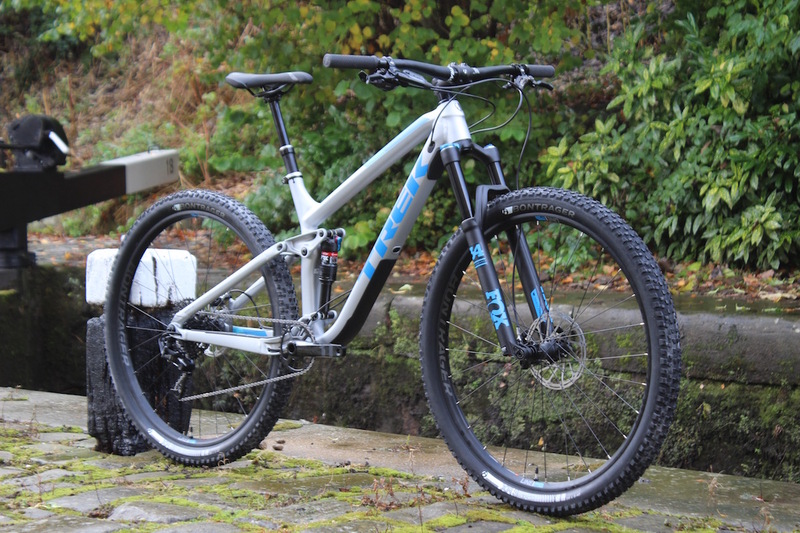 Long-legged 29in full suspension trail bike from Trek. This is Trek’s brand new Fuel EX 9. 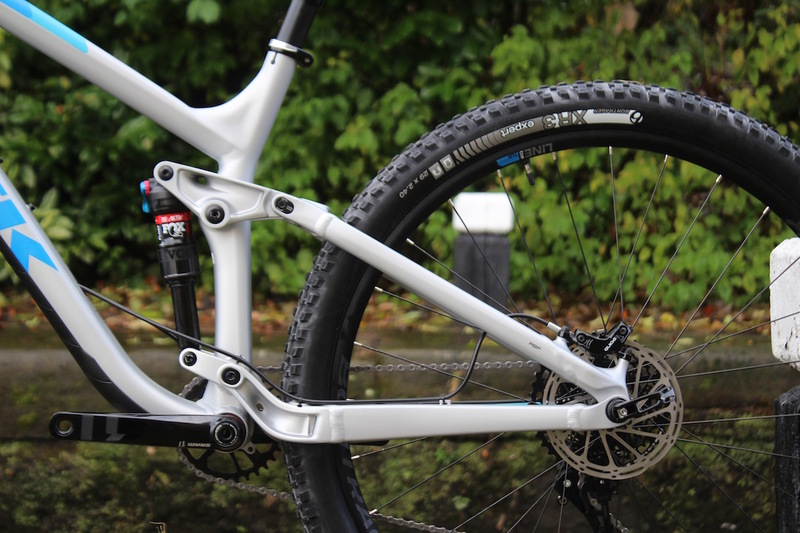 It’s a 130mm travel full suspension trail bike that can take either 29 inch or 27.5+ wheels – ours comes spec’d with 29 inch wheels. 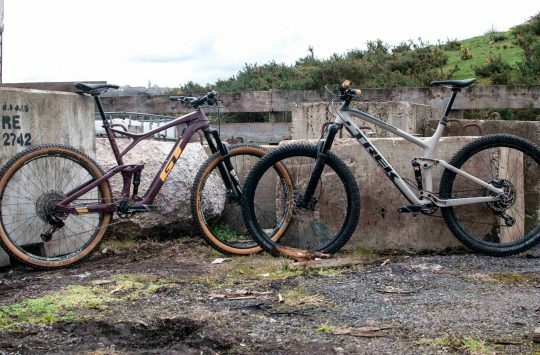 It sits between the XC racerboy Top Fuel, and the burly All Mountain Remedy. 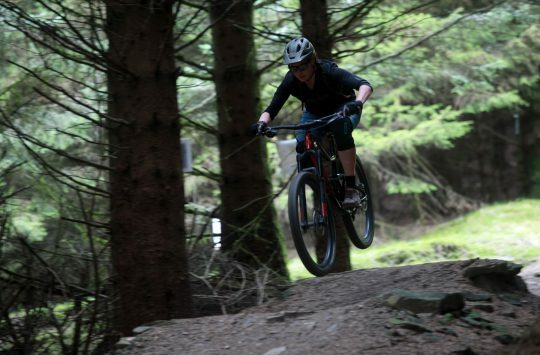 So it’s a trail bike for the masses really. 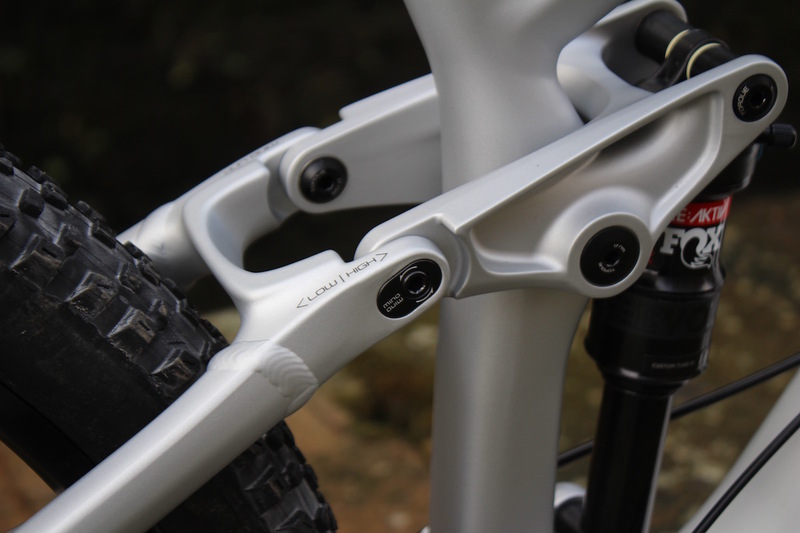 This bike is made from ‘Alpha Platinum Aluminium’, which Trek says is continuously cold extruded and butted at multiple points, and gives maximum strength and minimum weight. There are no metallurgists in house, so we’re just going to take their word for it. It sure does look pretty! 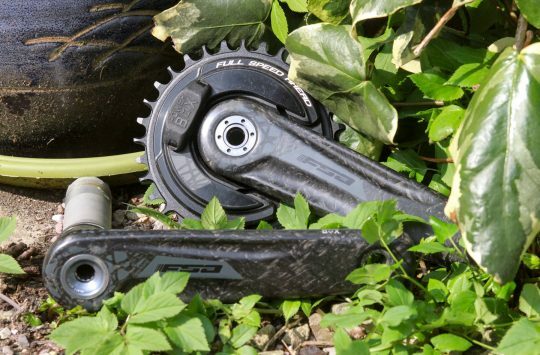 10-42 cassette for all your hill climbing needs. 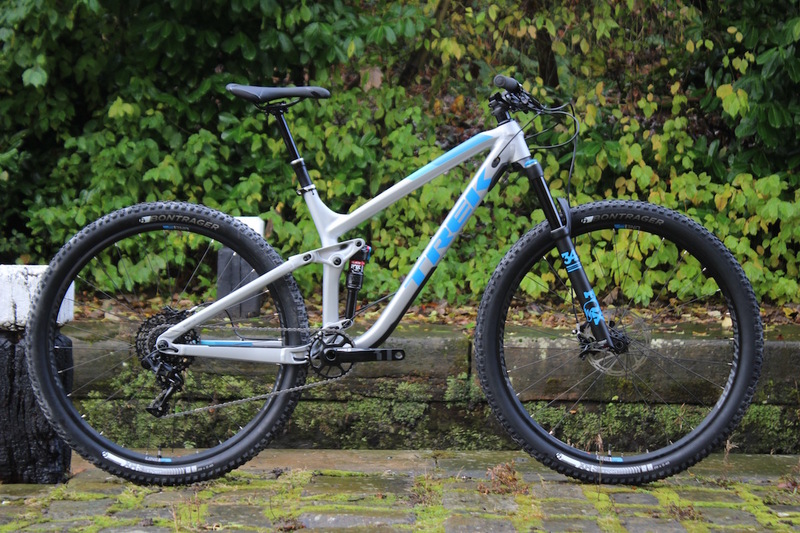 This updated model offers more tyre clearance and shorter stays than previous models. 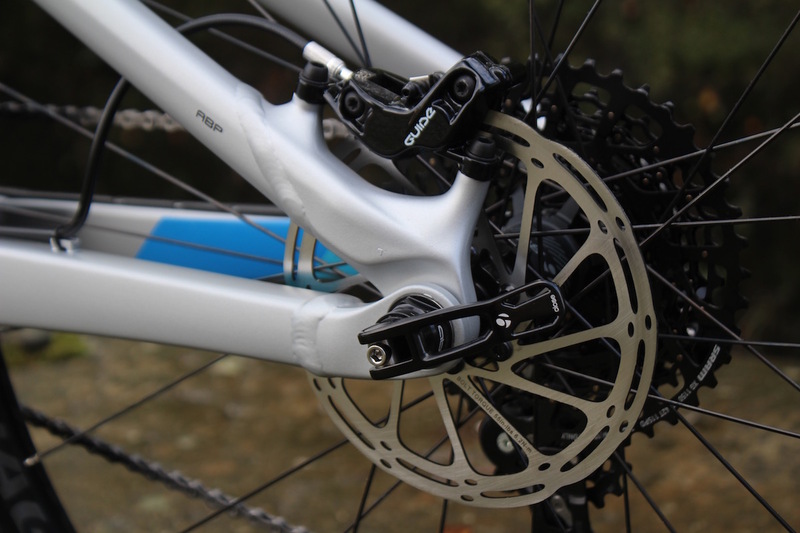 Note the steel chainring used on the cranks, which should offer a little more durability and wear resistance than alloy versions. You can adjust the head angle by half a degree, and the BB height by up to 10mm. Flip the ‘Mino link’ to choose between ‘Rad’ or ‘Radder’. 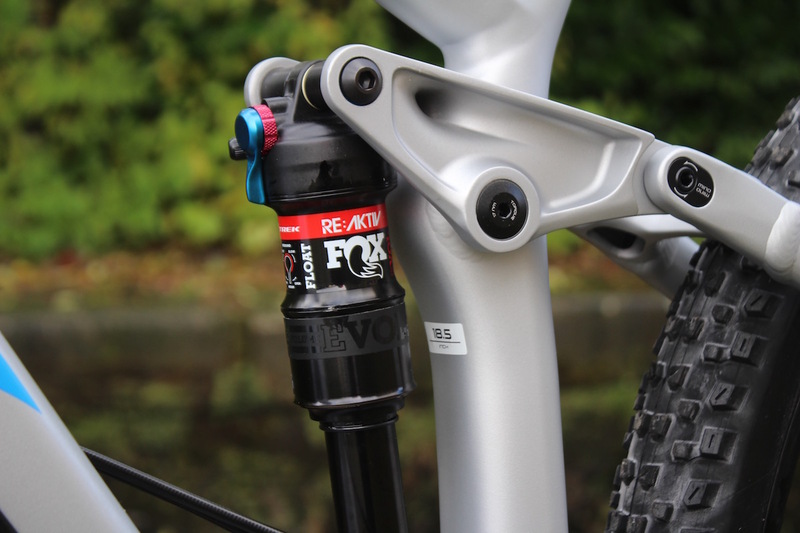 Fox Performance Float EVOL rear shock, with Trek’s RE:activ tuning, which promises more effective shock responsiveness to trail conditions through regressive damping. Want to know more? See here. ABP is designed to allow the suspension to work smoothly even when you’re braking. 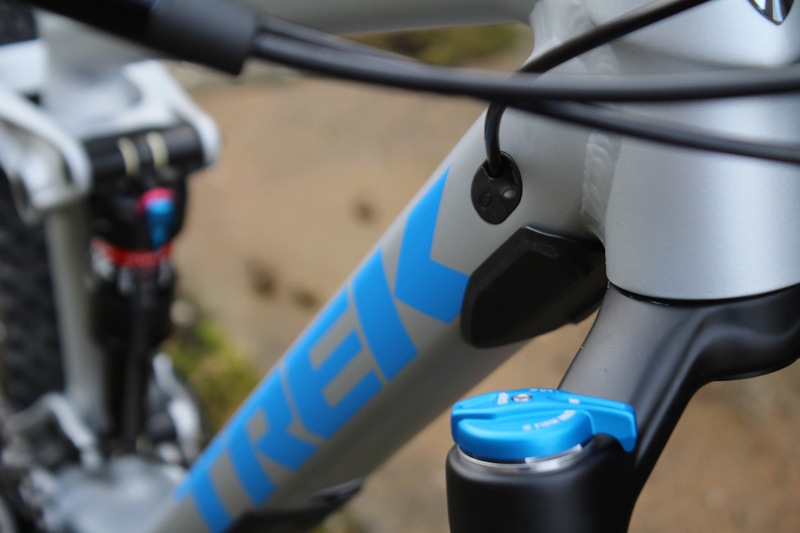 It’s been a regular sight on Trek mountain bikes for nearly a decade now, and the latest iteration uses the same Full Floater shock mount and the concentric rear pivot. 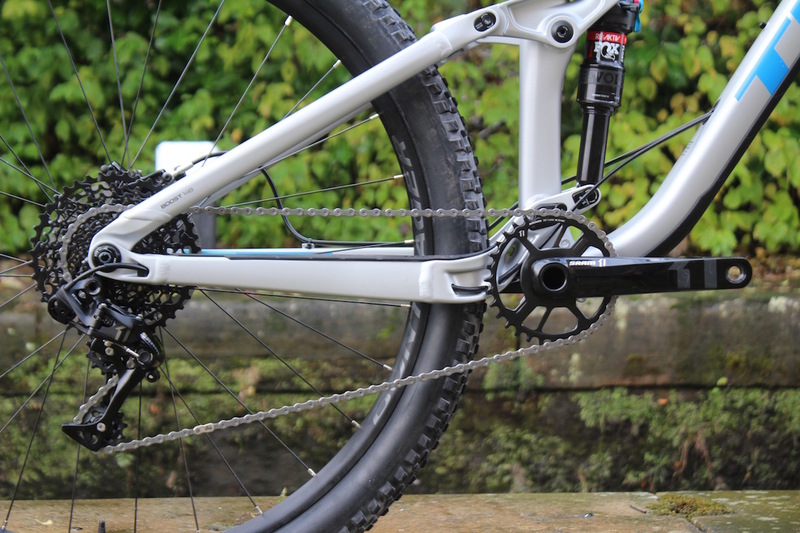 Wider dropouts (110mm front, 148mm rear) promise the stiffness of a 27.5in wheel with the benefits of a 29in wheels, and Boost 148 at the back lets you run wider tyres and a larger chain ring without affecting the q-factor or pedalling efficiency. 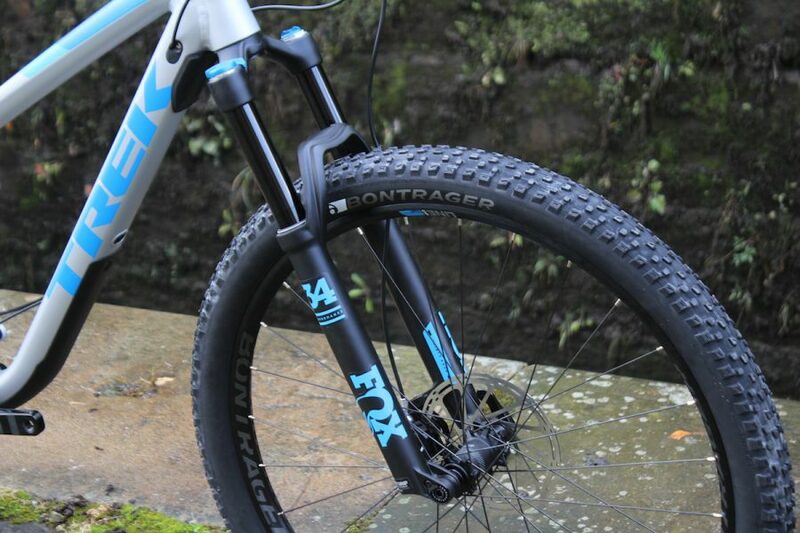 Fox Performance 34 Float fork with 130mm travel. These are the Rhythm models, so they use the GRIP sealed damper cartridge that’s a little simpler and cheaper than Fox’s flagship FIT damper. 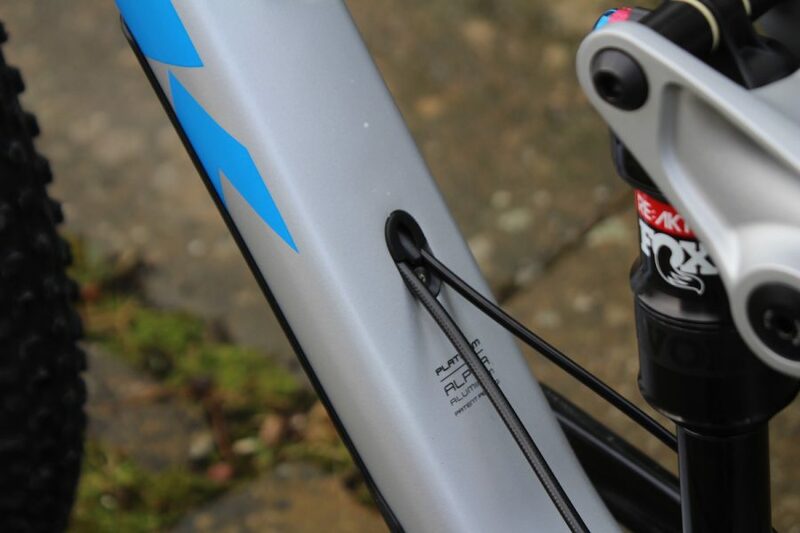 The cable management system allows any combination of shift, brake, lockout and dropper post lines to be routed through the frame. Knock Block to stop you walloping your frame with your bars when you fall off (because let’s face it, we all fall off sometimes). Guide brakes for stoppage. 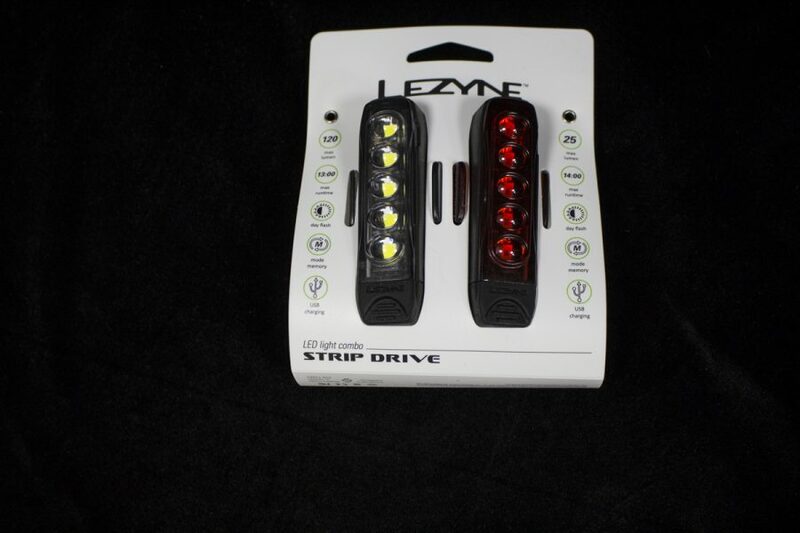 These have a nifty little reach adjust screw for tool free tweaking. Bontrager Line Comp 30 wheels that feature (you guessed it!) a 30mm internal width. 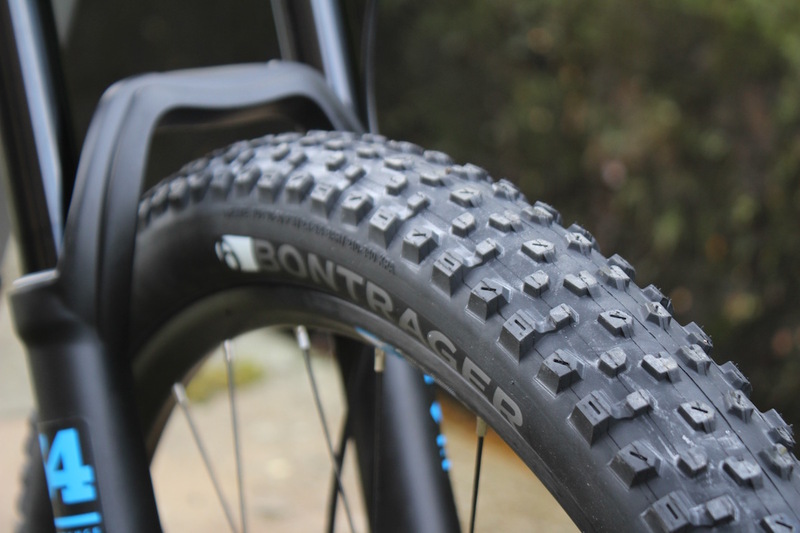 You could say Bontrager is toeing the line between regular and plus-width rims eh? Eh?? 29 x 2.40 tyres. Plus-minus? 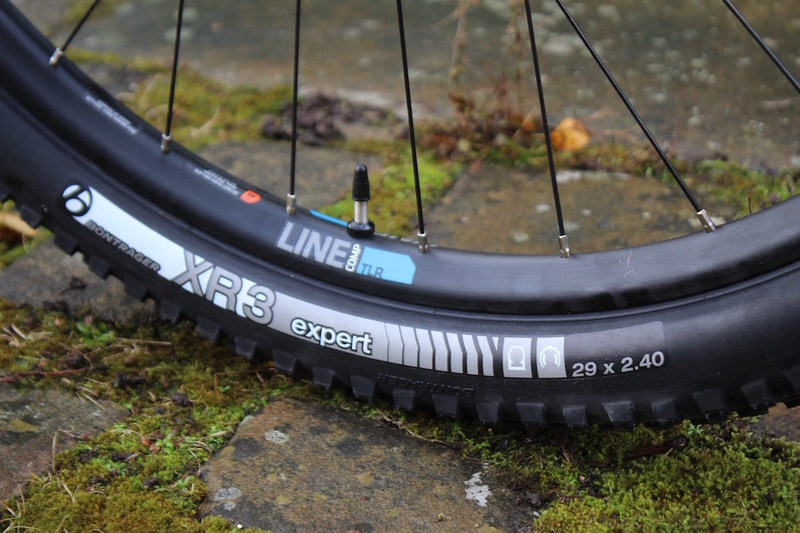 Bontrager XR3 Expert tyres, front and rear in a bulbous 2.4in width. 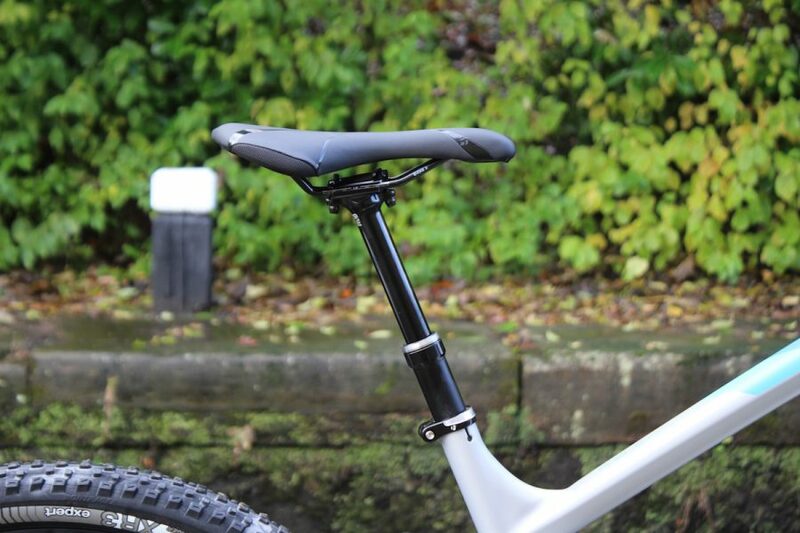 Bontrager released its new Drop Line dropper seat post a few months ago, and it sits proud aboard the Fuel EX 9. 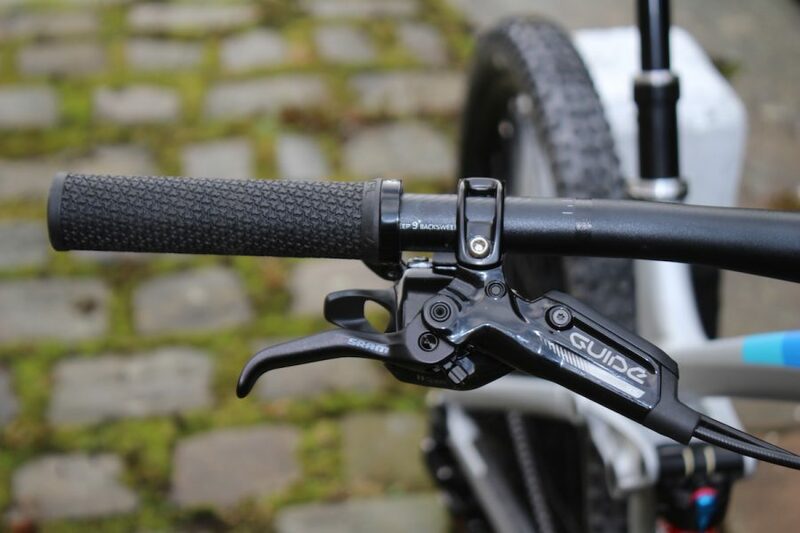 Internal cable routing and a slick black finish. Want to know what this bike is like to ride? Get yourself a copy of Issue 110, out December, which will feature our 3-way group test of the Specialized Camber 29, the Fuel EX 29, and a little number from Giant that you’ll read about very soon… Want a beautiful new issue of Singletrack delivered straight to your door? Why not subscribe here. It is a snake, not a Christmas tree. It is too early. 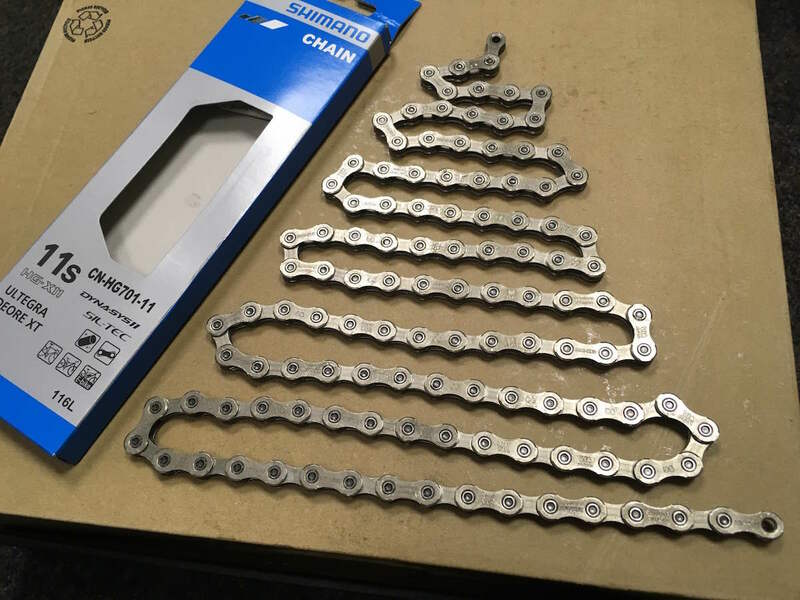 A chain to make Wil’s wheels go round. We think he’s ready to move on from the balance bike. 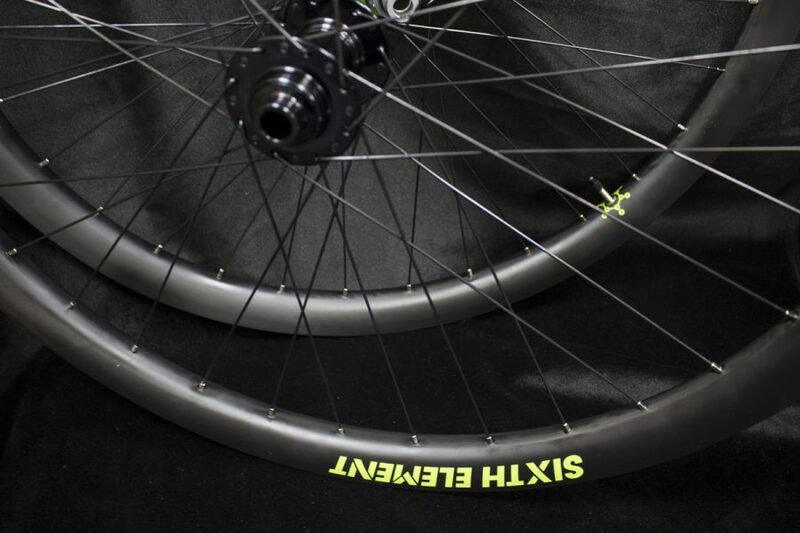 Foldable tubeless optimistic tyres for Chipps’ new bike (see below). Probably shed mud quite well. From: Chipps’ Fair Hands/ Downland Cycles. 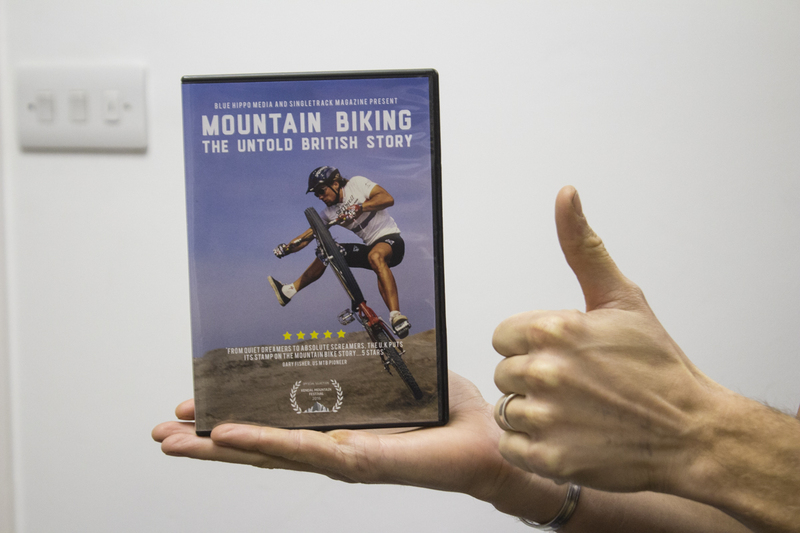 We are delighted to have taken delivery of DVDs of our super duper movie. Not only does it hold the key to viewing the movie without the need for an internet connection, it also contains EXTRAS. …actually, you NEED it, right? 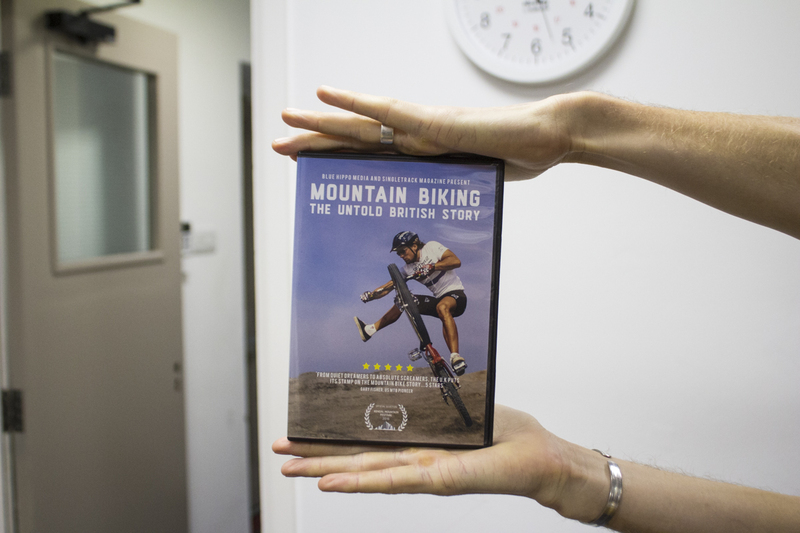 Steve talks about how he got into MTB in the early days. We see some of the amazing stunts of the drop and roll tour up close and personal whilst Danny talks about the whole trails scene. Martyn post accident waxes lyrical about life, the universe and everything! And the DVD has an English subtitles option. Get it put on your Christmas list. Or just buy it for yourself anyway. £11.99. You’re worth it. Hat guaranteed not to attack you, we’ve tamed the others. 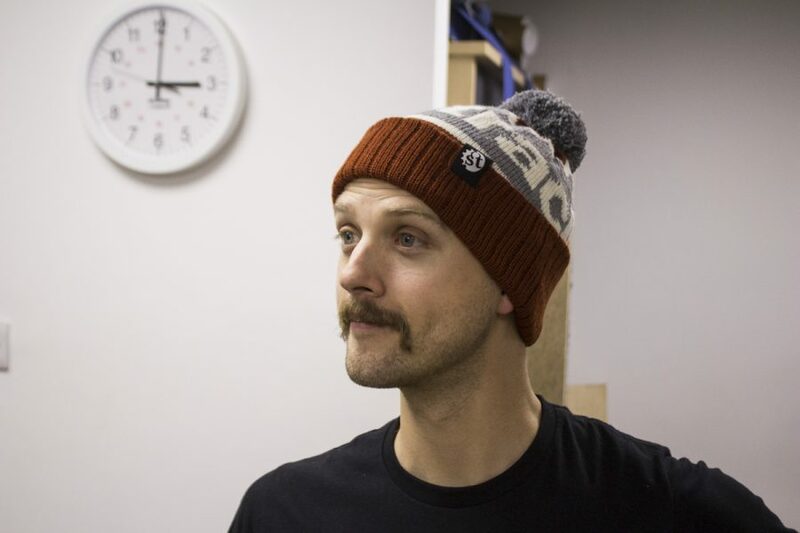 New noggin warmers, all the way from Scotland where they’ve been hand made specially for you! 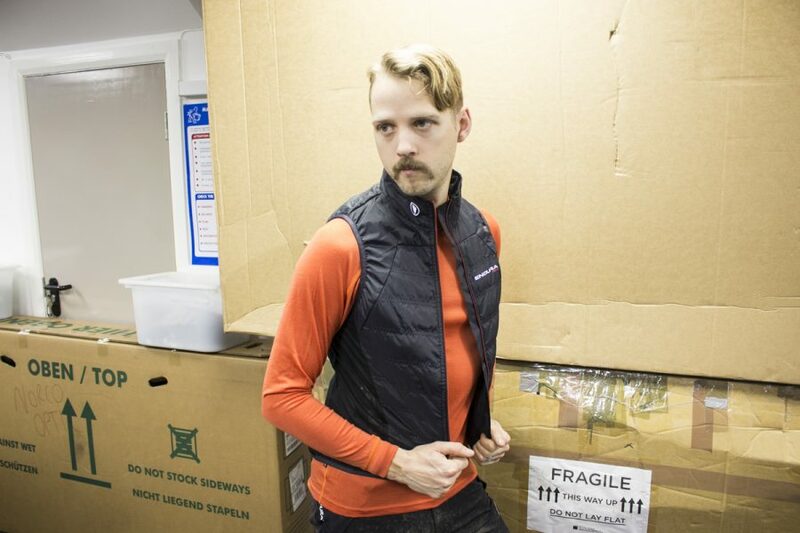 You too can look as good as this. Or better. Made of lovely soft Cashmilion acrylic and double lined for extra cosiness. This is the rust and grey option. Made in Glasgow (the hat, not Wil). And this is the grey and jade option. Which will you choose? 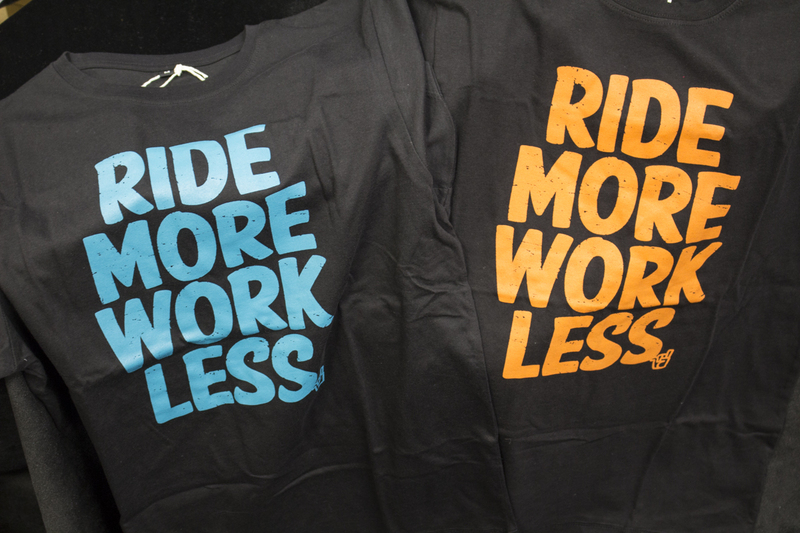 Or will you just get both – one for the shed, and one for best? 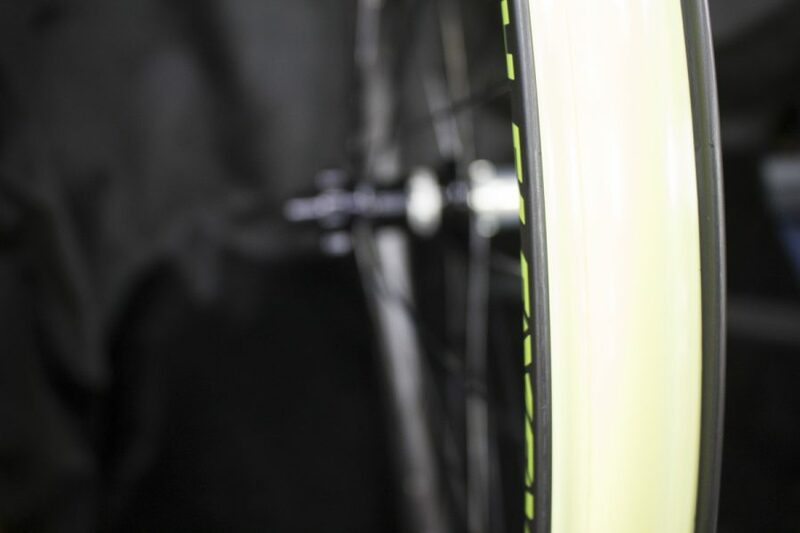 Rim tape in many widths for taping your rims and going tubeless. We shred through a lot of tubeless conversions in the Singletrack Workshop, as we like to set up test bikes sans tubes where possible. And the stuff we use all the time? 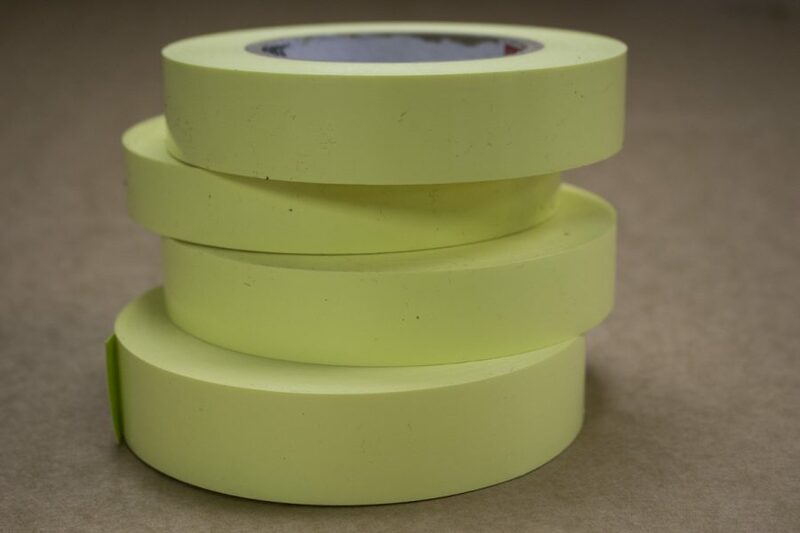 That’d be this here yellow tape from Stans No Tubes. What is this dance manoeuvre that Hannah is attempting to teach us? Is it the ‘Hail Mary’? 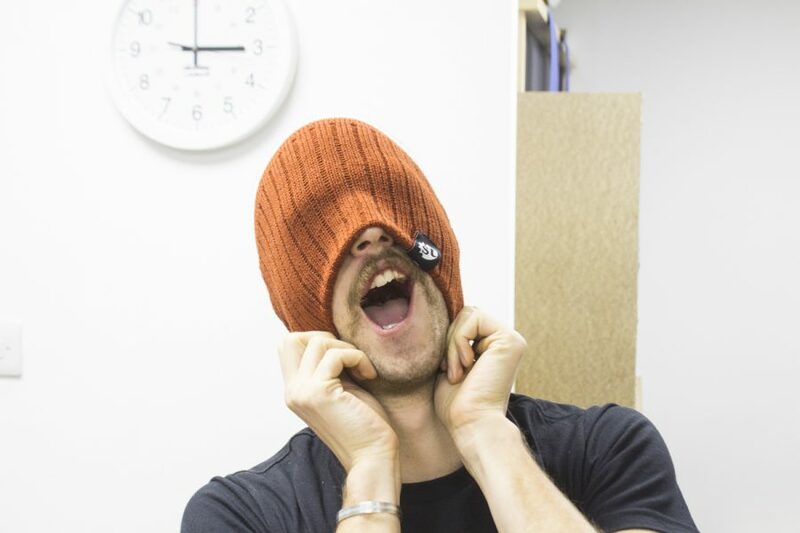 Or perhaps the ‘Pique-a-boo’? This jersey has mesh ventilation all down the inside of the arms and down the side of your body. So you can do lots of exercise without getting sweaty. Hannah was given it on the Liv launch, and as she packed rather too lightly, she wore it to ride in – and very comfortable it was too. Do you need a FatHugger? 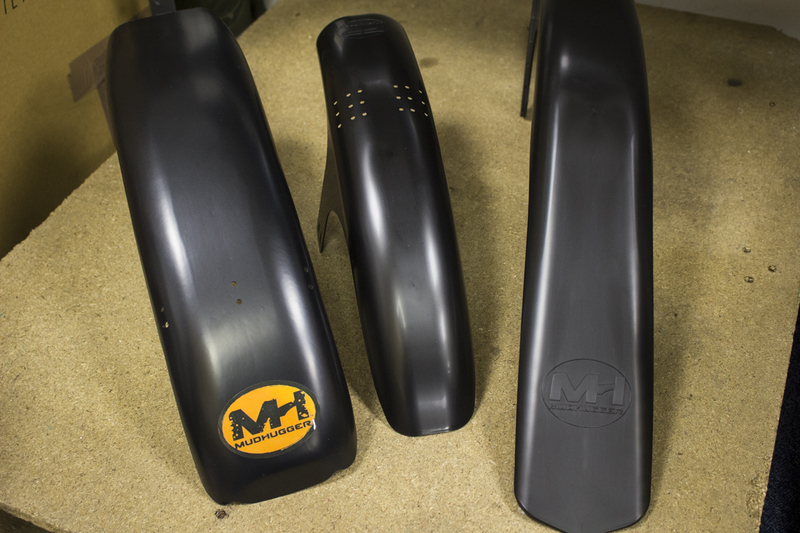 Mudguards. For guarding you from mud, not keeping your special limited edition mud safe from theft. Available in a range of sizes, right up to the FatHugger for fat bikes. Could well come in handy up until about mid August. Acquired by Hannah on the Liv launch, these are bright little USB rechargeable commuter lights. Thankfully she didn’t need them in Sedona, because they have this bright orange warm thing in the sky there, instead of lights. You can Google it. More Liv lovelies. This time it’s feet-gloves, which we’re informed are “socks”. Nice hey! 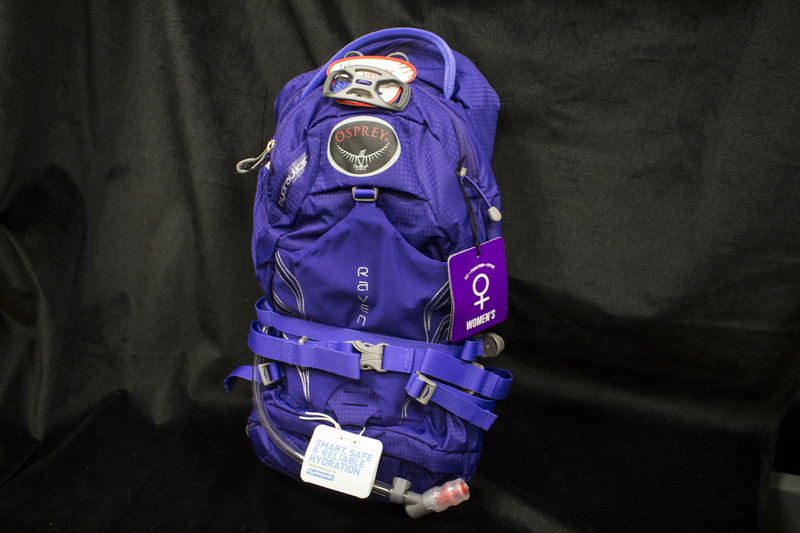 This is the Osprey Raven 10 backpack, and it’s the women’s model. And no, it isn’t made out of women, but rather designed for women. With all the usual technical features you’d hope for in a hydration pack, you can carry 3 litres of water in this one. Oh how nice it would be to have water inside the reservoir in your backpack, rather than being surrounded by it as it falls from the sky. We can dream right? Wil, cropped to make him less scary. Super hydrophobic glasses with a clear lens for wet weather. 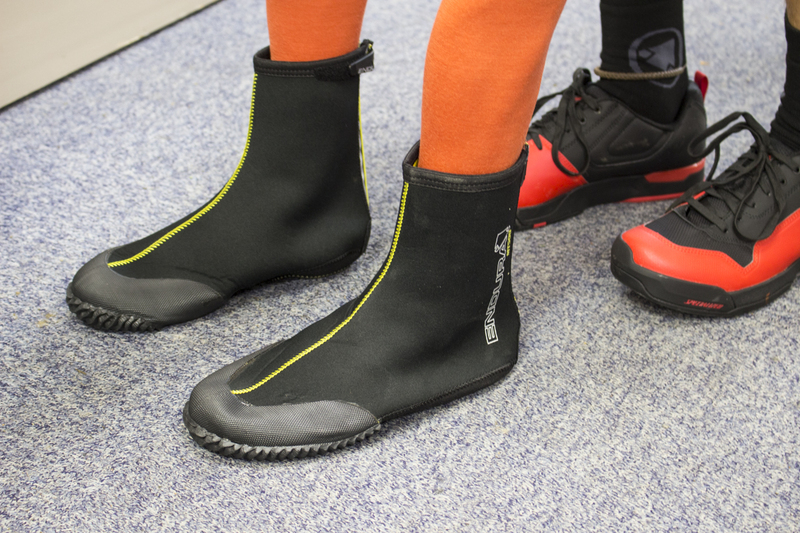 Also available in orange so you can find them in the mud/dark/gloom. 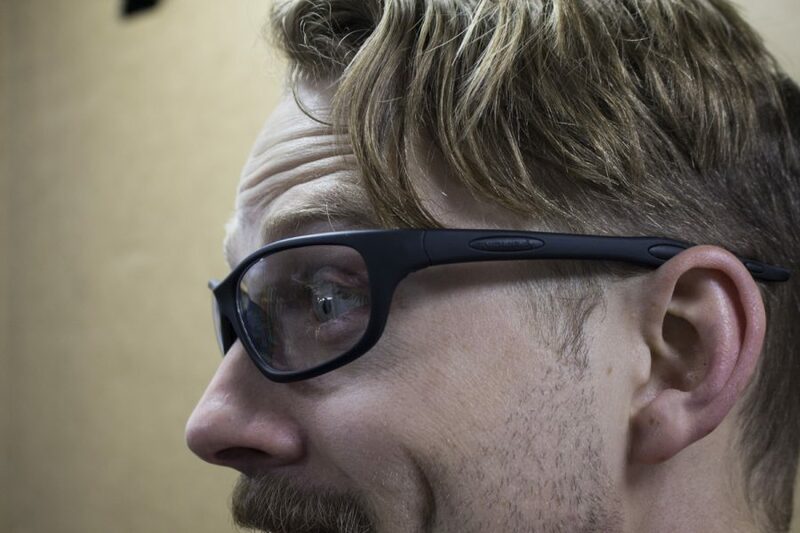 Sometimes people wear glasses to try and look more intelligent. These are new to Wil. These are not a thing where he is from. Well, not a thing for riding your bike in anyway. Possibly seen worn in some special interest nightclubs. No Wil! They’re for your feet, not your hands dummy! 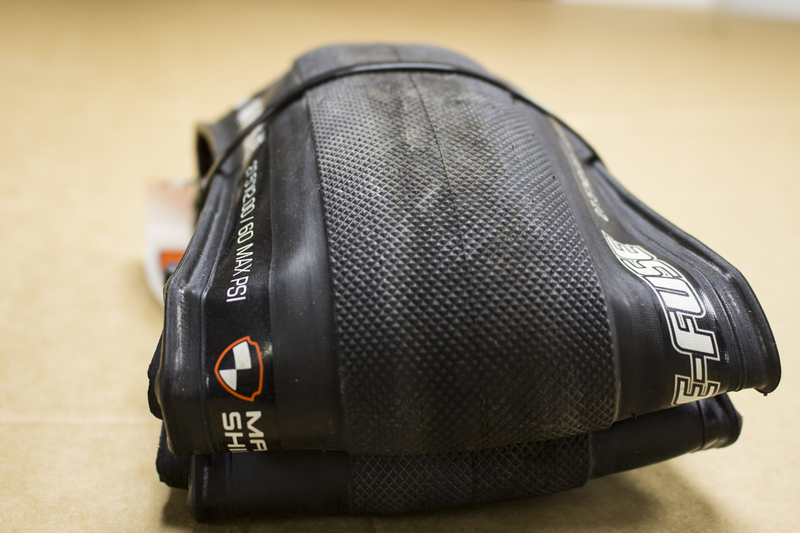 Mountain bike specific neoprene overshoes to keep your feet warm and dry, with added rubber grippers for walking off the bike. 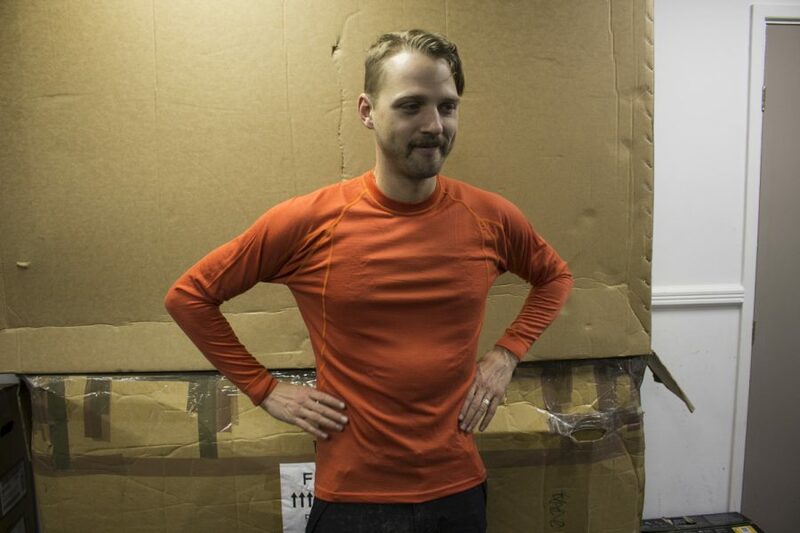 This is the most difficult pose Wil had to pull off for this week’s FGF shoot. So naturally we made him do it another four times, you know, to make sure we got the shot. 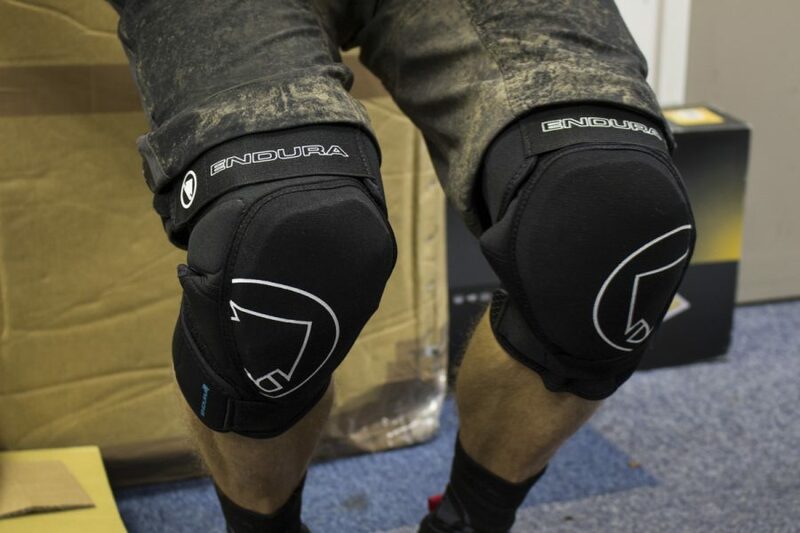 Knee pads which unstrap completely – there’s no sleeve – so you can take them on and off without having to remove your shoes. Memory foam protection for your knees. 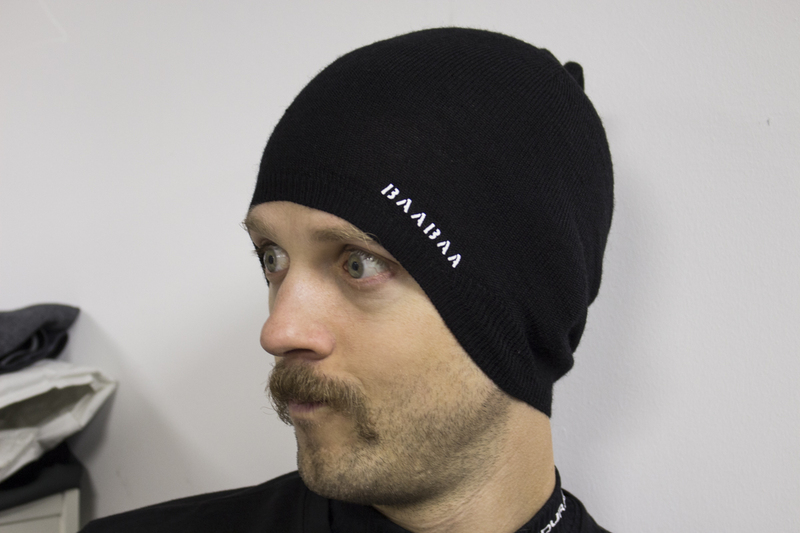 BaaBaa is Endura’s merino wool range. Which makes of think of this. Which makes us feel warm inside. Unfortunately, through the power of the internet, it also gives us this, which makes us want to throw things. 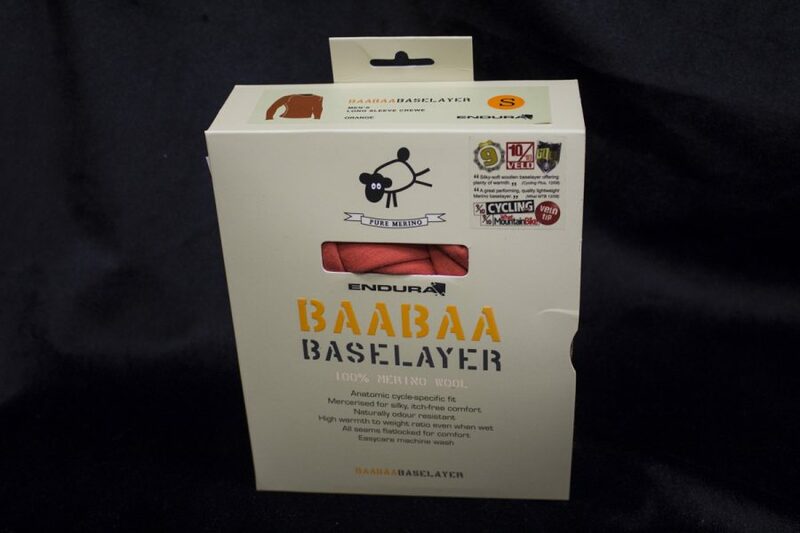 Available in both long and short sleeved versions, in orange, black or blue colours, this promises to be a super soft itch-free baselayer. Which should be lovely and warm, which may be why Wil is looking happy in this picture. Flat locked seams, 100% Merino wool. Primaloft puffy bits, not Wil’s ribs. 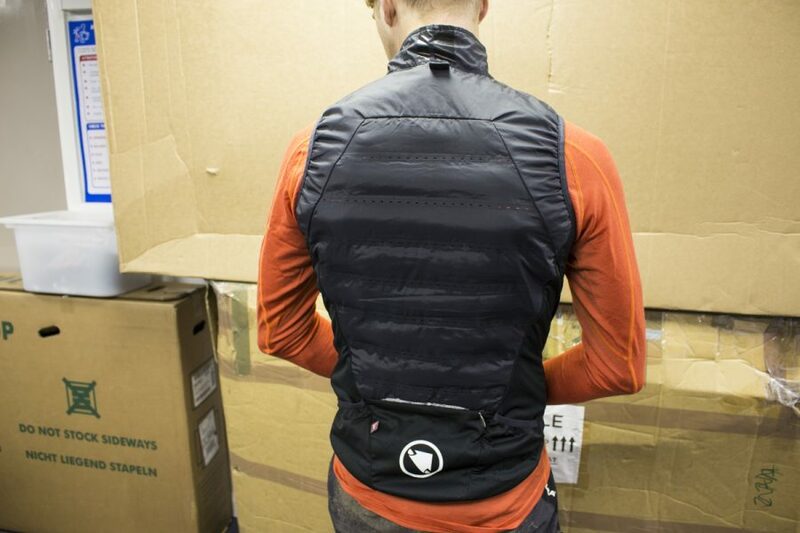 Windproof, lightweight, packable and insulated gilet for winter riding. Ticks all the boxes. He just can’t help himself, he is 100% Blue Steel. Because the sixth element IS carbon. Geddit? Carbon wheels, built in the UK. These have the standard green decals, which are a special shade of green chosen specifically because it will coordinate with practically every other colour there is. 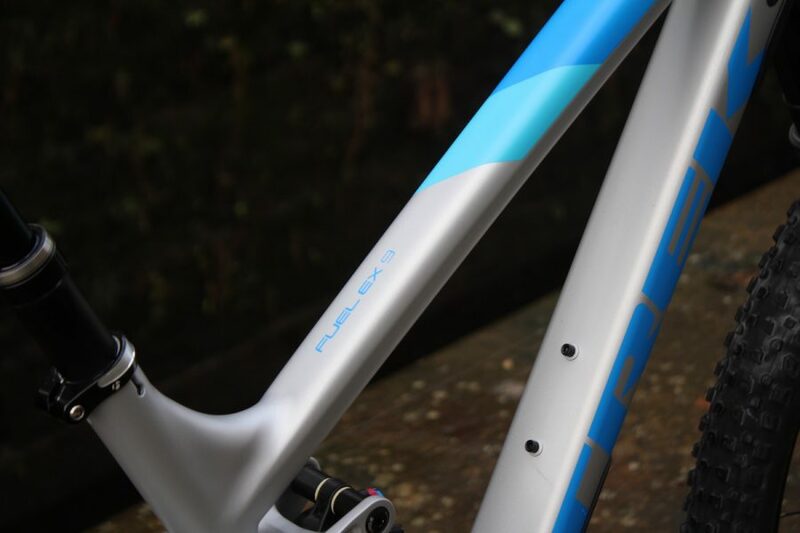 If you want to be all matchy matchy, for an extra fee you can order bespoke coloured decals. 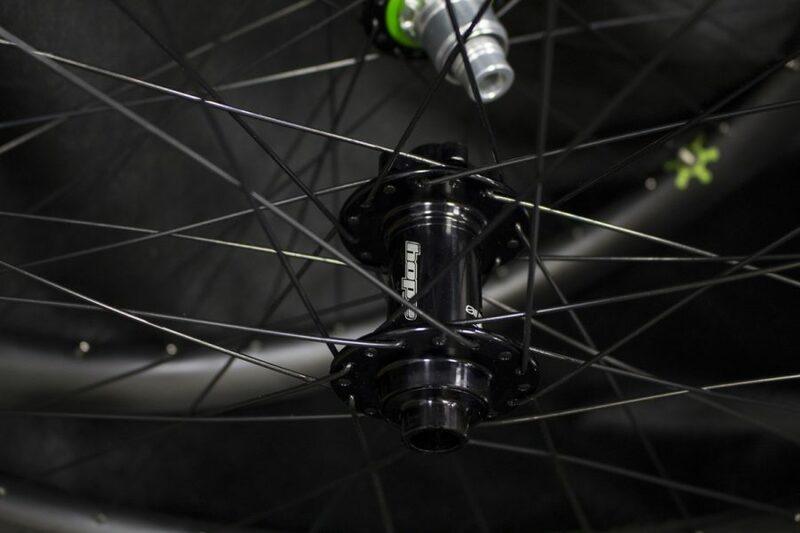 These rims have been laced on to Hope Pro 4 hubs – you can also opt for Chris Kings should you so choose. Three widths of rim are available, these are 32mm internal width, which should suit our in house man mountain James. Honestly, his saddle is up somewhere near Hannah’s armpit height, he is huge. He’ll be giving these wheels a good thrashing on all that Hebden tech has to offer. You want me to go outside WITHOUT a hat? 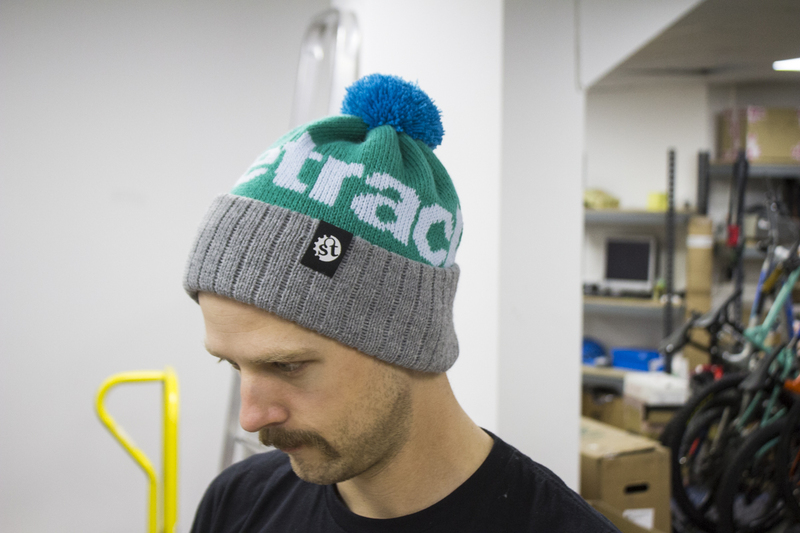 Cosy little merino skullcap (because you’re not going to get our bobble hats under your helmet, and you might need to keep your ears warm on the trails). 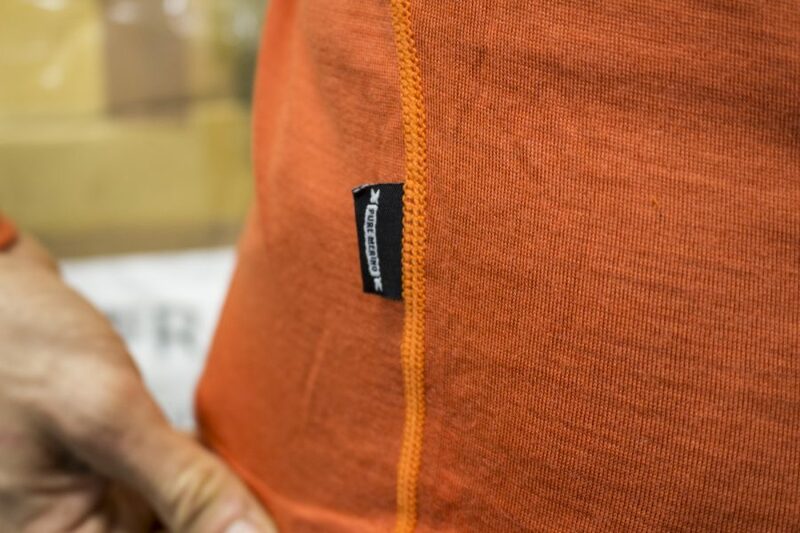 Non stinky merino should be good for all you sweaty heads out there too. Because smelly heads are not good. Wil, a very busy man. Organic t-shirts with a simple message we could all do to take note of from time to time. Stickers, free if you sign up to their newsletter. 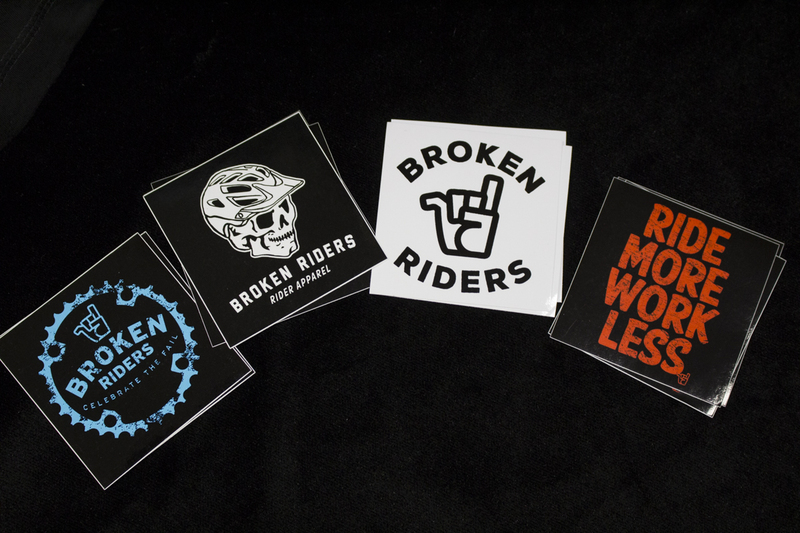 Also available in a women’s fit, all the Broken Riders t-shirts are ethically sourced as well as made from organic cotton. Wil is going to be attaching this to some wheels he will be testing. 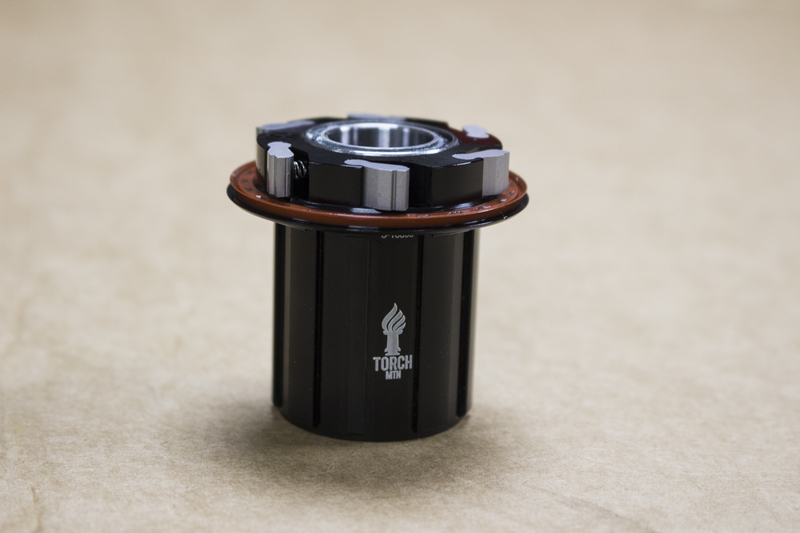 Industry Nine offer various axle kits and freehub bodies so you can adapt your kit to different bikes, forks and drivetrains. This one has 6 pawls and 120 points of engagement. Wheeeee…. This particular little dingaling is a prototype with a new fitting for your bars, however the original version is just as dingly and ringly and is available to buy now. 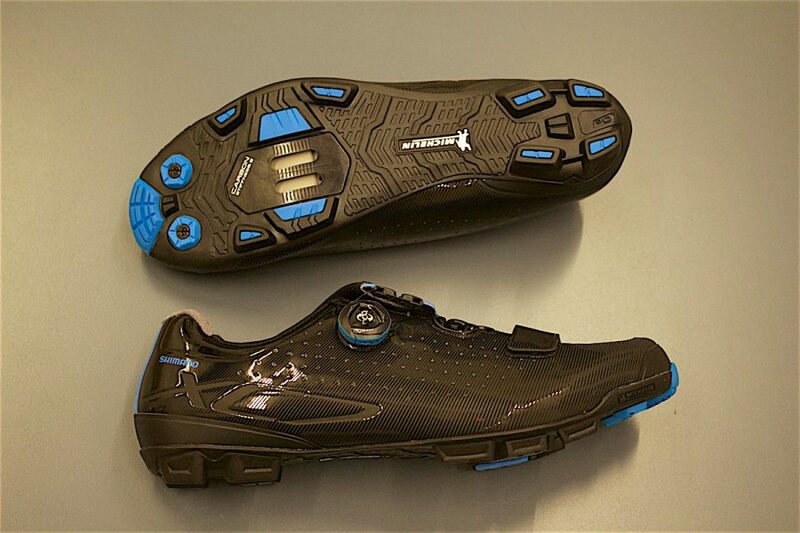 Stiff shoes, so stiff they have a stiffness rating of 9/12. 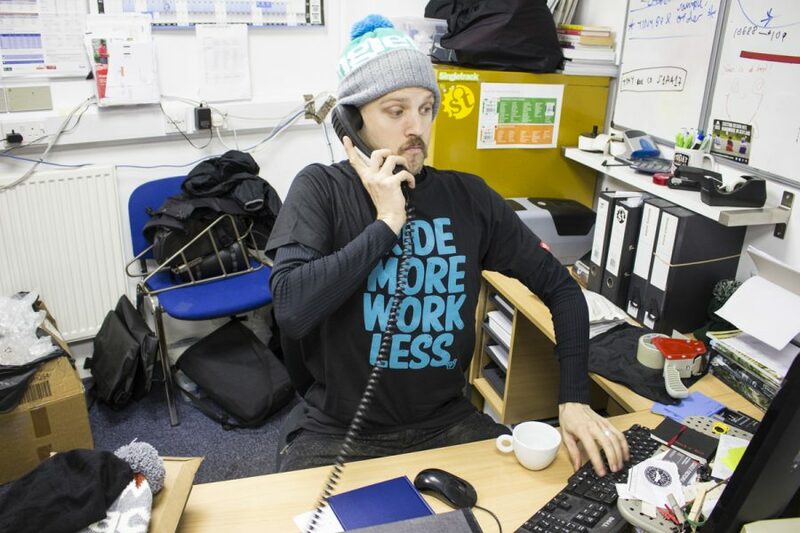 Designed for the lycra crew – XC and cyclocross racing (who favour stiffy McStiff Stiff shoes, but stretchy bendy lithe McLycra clothes). 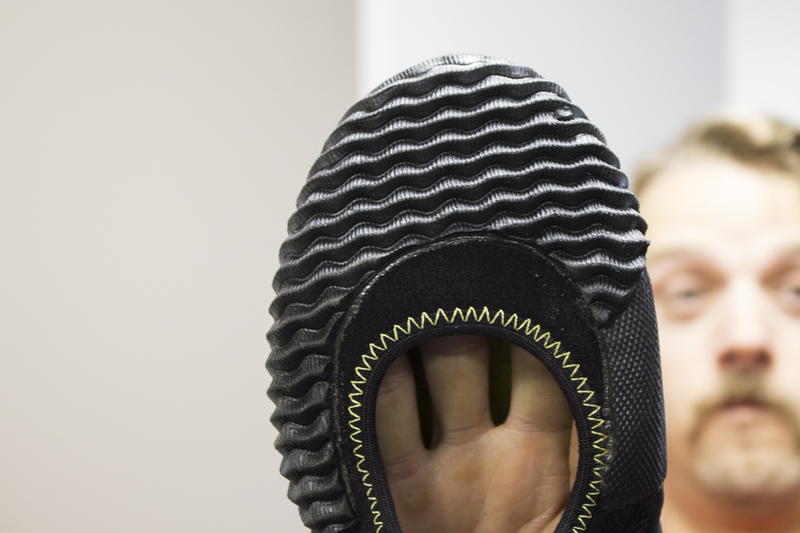 With Michelin dual density rubber tread for grip, and a carbon midsole for that stiffness. Vroom. And with that, here endeth the tea break. We hope you didn’t absent mindedly drink that last mouthful of tea-and-biscuit-sludge. Now it’s time to do only that which is necessary to make your way through to the weekend – the consumption of a charity cake, perhaps. The rearranging of the toys on your desk. An inventory of your stationery. Whatever it is that gets you through to the joy that is Saturday, may it pass swiftly and without stress. Chips bike, quality welding there. The pigeon? Depending on what Chip’s bike is ridden on..
chipps off the old block? the brokenriders Tshirt site link doesn’t work. Chipps’ bike? Just call it The Chair, as it was built by a Chippendale. (Maybe he is called Thomas too). There’s more snot on that welding than Snotty McSnots snotty tissue in his snotty pocket. Think I’d be facing the BB shell before attempting to install anything !!! 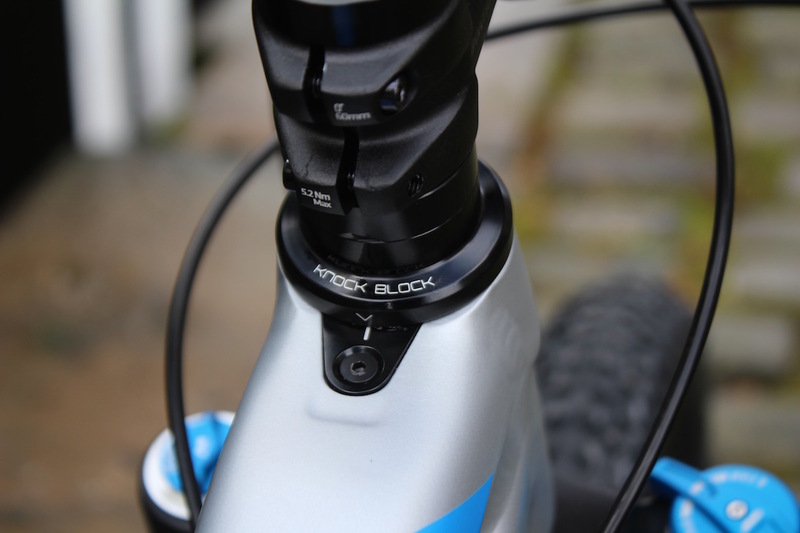 Isn’t it to stop the crown of the fork from totalling the frame because Trek designed the frame weird, thus creating the need for the Knock Block solution? 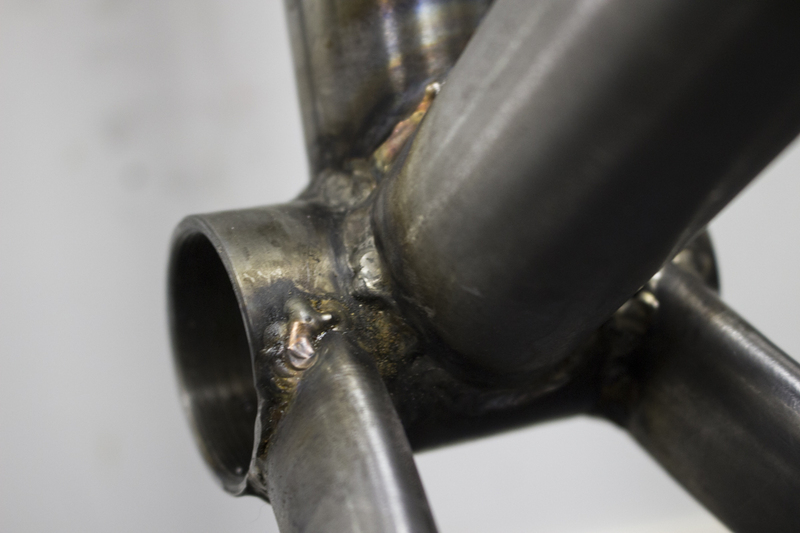 Haven’t seen a weld like that since last time I squatted over a mirror…..